The last and probably most surprising message during the recent Nindie Direct was Cadence of Hyrule: Crypt of the NecroDancer . For many hours we are still scratching our heads and wondering how heck an indie developer has been given the rights to create a title based on one of the most iconic full-time Nintendo series. To shed light on the situation, IGN recently spoke to Ryan Clark, the founder of the Crypt of the NecroDancer developer Brace Yourself Games. It all began when the Vancouver-based study started thinking about its next project for the Nintendo Switch and thought how cool it would be to have Zelda characters in NecroDancer as downloadable content. Surprisingly, Nintendo was "extremely interested in the prospect" when it was approached, and it resulted in a brand new game that blended the roguelike rhythm experience with the famous action-adventure series. It is quite a significant development when considering how protective Nintendo is of its IP. Although it has been known to hand over the rights to major series such as Mario, Zelda and Star Fox to experienced third-party developers, it has never really given an indie developer such an opportunity for great . In fact, Cadence of Hyrule Brace Yourselfs is another ever release. Still, the original NecroDancer was a wonderful game, and the little team has clearly proven that it is more than capable of creating a rhythmic action adventure seen in the Zelda universe. 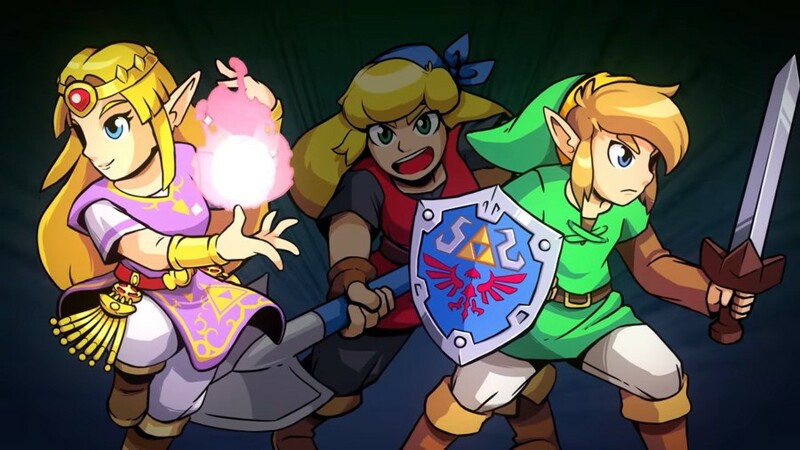 Cadence of Hyrule arrives in the spring. Looking forward to this release? Please tell us below.